Beta testers of macOS Sierra can send feedback and bug reports directly to Apple, offering a chance to help shape the future of the Mac operating system. Reporting bugs and offering feature feedback is part of the fun of beta testing (and part of the purpose of the public betas), so if you are running macOS Sierra on a Mac, be sure you take the time to send feedback and report bugs as you come across them. 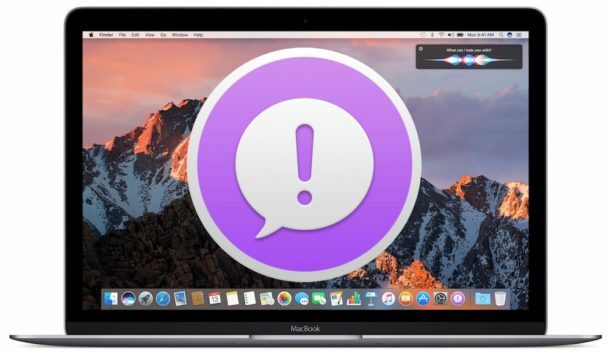 The bug reporting and feedback function is handled through a Mac app called Feedback Assistant, which is included when installing the macOS Sierra public beta. It exists in other versions of Mac OS X as well, but obviously with macOS Sierra being the primary beta testing focus and set to be released in the fall, it is the most relevant. 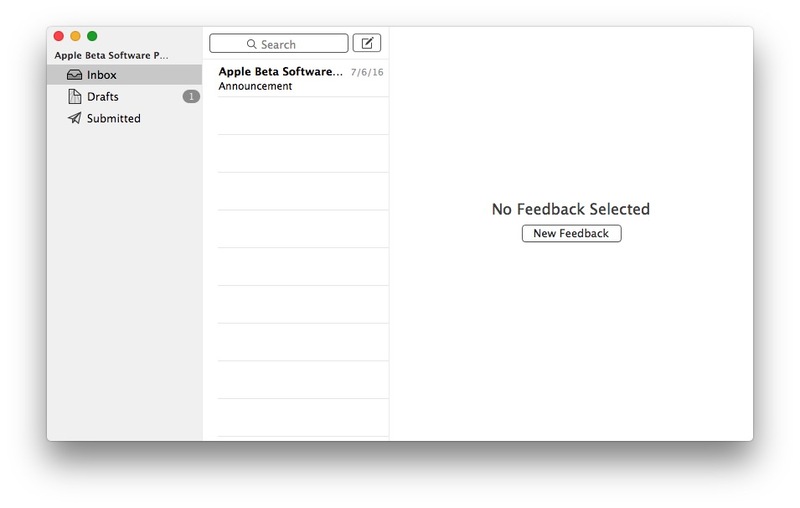 The Feedback Assistant app serves as an inbox of sorts, so you can check your sent feedback messages, create and modify drafts, compose new feedback or bug reports, and see any responses or messages from Apple if they arrive. 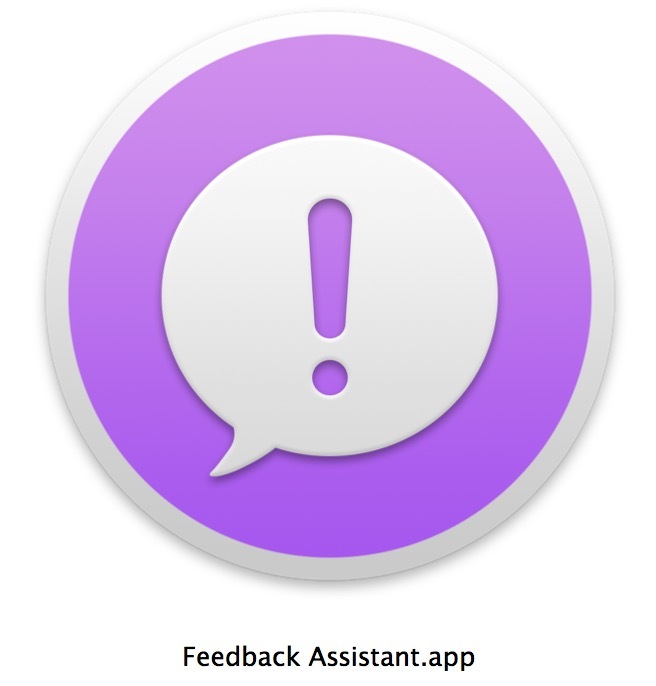 * Technically the Feedback Assistant app is found in /System/Library/CoreServices/Applications/ but an alias appears in /Applications/Utilities/ for easier access, and is also found in the Dock of fresh macOS Sierra installations. Don’t forget that iPhone and iPad users can also send feedback and report bugs about iOS 10 beta as well. I have been using Microsoft Windows for years due to gaming purposes. I bought a MacBook Pro i5 13″ late 2011 . I upgraded Ram to 16GB, replaced the HD with a 256GB Sandisk SSD . But what amazes me most is how damn smooth this Mac is with video and everything else the 512mb of video has to drive in this MacBook. Im really loving the VERY Smooooth, VERY beautiful evolved OSX operating systems Mac is producing today. Im located in China, my Mac runs Mac OS Sierra beta2. And my Feedback Assistant is not helping.